Jayarava's Raves: Why Are Karma and Rebirth (Still) Plausible (for Many People)? Part I of II. Why Are Karma and Rebirth (Still) Plausible (for Many People)? Part I of II. 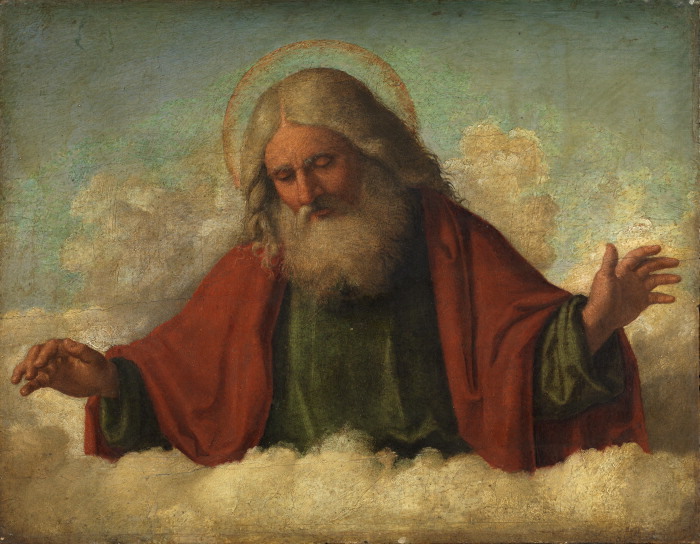 This essay summarises and explores some idea from Justin L. Barrett's short but important and influential book Why Would Anyone Believe in God? (2004). Barrett's book is not simply an account of the psychology of theism in evolutionary terms, but goes into the evolutionary origins of religious beliefs more generally. He identifies several cognitive processes or functions that contribute to religious style thinking and locates them within a social and psychological context that lends religious concepts plausibility for the individual. We will focus here on Barrett's ideas on the plausibility of religious beliefs, which I will apply to the two beliefs central to the Buddhist religion: karma and rebirth. Barrett's work forms a cornerstone of my understanding of the psychology of religious belief. In my view, belief in just world virtually entails belief in an afterlife in order to balance out all the blatant unfairness and immorality (unrewarded goodness and unpunished wickedness) that we see around us. All religious afterlife beliefs are basically the same in that they amount to a post-mortem balancing of the moral books, whether this happens in one go, or through repeated rebirth, or reincarnation. Buddhism combines both of these two basic approaches: rebirth, unless one does something about it, and liberation from rebirth, if one has done what needed to be done (kataṃ karaṇīyaṃ). The afterlife is attractive anyway because the fact of inescapable death is so disturbing to a living being. Additionally an afterlife is made to seem plausible by phenomena such as the so-called out-of-body experiences, and many kinds of meditative experience, which seem to point to disembodied mind (ontological dualism). Combined, these factors suggest how religious beliefs, particular beliefs about universal morality and an afterlife, arose and became so ubiquitous in human cultures. Karma is our Buddhist myth of a just world, and rebirth is our myth of the afterlife required to allow fairness to play out. There are more and less sophisticated versions of these two myths, they all share these basic features. However, we no longer live in traditional societies. We live in post-Enlightenment societies in which technological marvels are routine. When I was a child, ideas like video phones, personal communication devices, powerful personal computers, a universal repository of knowledge, automatic translation, and so on were the stuff of science fiction. Now, they are all rolled into one small handheld device. Science has transformed our understanding of the world: theories such as evolution, plate tectonics, relativity, classical & quantum mechanics, thermodynamics, genetics, bacterial-pathogenesis, are not incidental or trivial. They are powerful explanatory paradigms that accurately predict the behaviour of the world at different scales, even when, as with relativity and quantum mechanics we know the theories to be incomplete. In large measure the Ptolemaic/Christian worldview, with its false presuppositions and superstitions, has been superseded in Europe and its (former) colonies. Why then do religious beliefs continue to seem plausible to so many people, even outside the confines of classical organised religion? Why do some people abandon the superstitions of Christianity only to embrace the superstitions of Buddhism? We can situate this question inside of the larger question that Barrett addresses about why other kinds of religious belief, particularly belief in gods, persist into the modern era and to resist incursions by new knowledge about the world. Barrett's viewpoint comes under the rubric of Evolutionary Psychology. The basic idea is that the brain, and therefore the mind, is modular and these modules evolved and bestowed fitness (in the special sense meant by geneticists) on homo sapiens as a whole. For many years now neuroscientists have noticed that damage to certain parts of the brain produce a deficit in the functioning of the mind. For example damage to the occipital lobe of the brain affects vision in variety of ways. I've often cited Hannah and Antonio Damasio's work on injuries in the ventro-medial-prefrontal cortex and how they affect decision making (see Facts and Feelings). A recent article by Alfredo Ardila (2015) highlights this approach in a very interesting way. When we lose the ability to speak it's called aphasia. There are two kinds of aphasia due to brain damage: Wernicke's-type, associated with brain damage in the temporal lobe, and Broca's-type associated with damage in the frontal-subcortical region. Wernicke's aphasia affects the lexical/semantic aspects of language, while Broca's affects grammar. This suggests that the two aspects of language evolved separately, i.e. that we have one language module that deals with words, and another that deals with how words fit together to make sentences. Ardila proposes a staged evolution of language in which animal style communication evolved very early; it was followed by a gradual build up of verbal signs for things or actions in hominids as our cognitive capacity increased. Only with the advent of anatomically modern humans did we begin to use grammar to create strings of words with distinctions between nouns and verbs, and so on. This is consistent with Robin Dunbar's outline of the evolution of brain capacity and social group size and the theory of language evolution that he proposes (Dunbar 2014; see also When Did Language Evolve?). There are some vigorous critiques of the modular theory of Evolutionary Psychology, but it seems incontrovertible that the brain is divided into functional areas with different tasks and that it must have evolved to be that way. Sometimes another part of the brain can take over the function following an accident, especially in young people. There are of course the curious cases where people grow up with vastly reduced brain volumes due, for example, to childhood hydrocephalus, but have apparently normal brain function. In these cases brain volume can be as little as 5%-10% of typical. The reduction in volume has to happen early in life, and it's not clear how the number of neurons is affected (might their be the same number squeezed into a much smaller volume?). We also see people with severe epilepsy surviving radical brain surgery, where have the neocortex is removed, but again that part of the brain has been disabled from an early age and the brain has adapted to work around it. Mostly brain damage, in adults at least, results in permanent dysfunction. Whether this physical modularity translates into more abstract 'mental tools' of the kind that Barrett talks about, is moot, but it seems plausible. A caveat to be aware of is that while science journalists like to see these areas in the brain as operating in isolation—witness the brouhaha about the so-called "God spot" (now refuted)—in fact the whole brain is active all the time, the whole brain is involved in producing experience and directing our activities. Some areas clearly do perform specific tasks, but they do so as participants in a system, and often a system within a system. And not only do we have to keep the whole brain in mind, we have to see the brain as situated in a body that also contributes to experience through the peripheral nervous system and sensory organs. Recently David Chapman and I discussed this issue and he argued that we need to acknowledge that cognition has a social dimension as well. I'm sympathetic to this view, it's consistent, for example, with Mercier and Sperber's Argumentative Theory of Reasoning, with Robin Dunbar's Social Brain Hypothesis, and other more systemic ways of thinking about life, but it takes us beyond the scope of Barrett's work and Chapman himself has yet to commit his ideas to writing (nudge, nudge). However once, I've spelt out this part of my psychology of belief, the obvious next step would be to attempt some kind of synthesis. Barrett outlines some different types of mental tool. Some categorise sensory information, into objects, agents, or faces, for example; whereas others describe such objects once they are detected. Barrett highlights what he calls the "Agent Detection Device" (ADD) in his writing. This is the function of the brain that allows us to distinguish an object that is an agent, from one which is not: a rat from a rock; a snake from a branch. Ordinary objects in particular follow rules of movement that are bound by the laws of physics: a bird moves differently than a missile. We have an intuitive sense of the different ways that agents move compared to non-agents. An important agent describer is known as Theory of Mind (ToM). Having recognised an object as something that initiates its own actions, the ToM attributes to it a host of mental properties suitable to an agent. For example, agents have motivations or desires that set them in motion (emotion; from Latin ex- 'out' + movere 'to move'); they act to achieve goals; and so on. Understanding this allows us to interact creatively with agents in a way that is not required with non-agent objects and that enhances survival (e.g. trapping animal food or avoiding predators). As we will see, the ADD and ToM are central to Barrett's understanding of belief in gods. In Barrett's theory, the mind is furnished with many categorising and describing tools which operate unconsciously and impose structure and order on our perceptions so that we can make sense of them. What we actually become aware of, out of the vast array of sensory inputs, is the product of considerable real-time processing that shapes how we perceive the world. Barrett identifies two kinds of belief: reflective and non-reflective. He argues that most beliefs are of the non-reflective kind. They arise from assumptions about the way the world works, automatically generated by the unconscious functioning of our various mental tools (especially categorisers and describers). We often don't even think about non-reflective beliefs, to the point where we may not know that we have a belief. And non-reflective beliefs are transparent to us, which is to say that we are not aware of the process by which we come to have a non-reflective belief. These are simply the beliefs that we deduce from interacting physically with the world and unconsciously assimilate from our family, peers, and society. Barrett does not say anything about a relationship between non-reflective beliefs and Kant's idea of a priori judgements, but the similarity is noticeable. Non-reflective beliefs, in Barrett's view, encompass physical facts such as the belief that an object in motion will continue along its inertial path, objects fall under the force of gravity unless supported, or that physical objects cannot pass through one another. Such beliefs emerge, at least in part, through experience, which is then reflected in the way language works (See Lakoff & Johnson). So such beliefs are a priori, in the sense that they are prior to information arriving in conscious awareness and the process of forming them is transparent to us and therefore out of our control. We cannot help but understand experience in terms of our non-reflective beliefs. This certainly seems to correlate with Kant's idea of a priori judgements. Reflective beliefs are the kind that we learn or decide for ourselves after consciously assessing the available information and making a decision. According to my own understanding (see Facts and Feelings, 25 May 2012), decision making involves weighing the merit of various bits of information. The salience of information is assessed by the emotions we associate with them. Thus my understanding is not that these reflective beliefs are "rational" in the old sense of that word. Contrarily such beliefs may well seem "intuitive", or "feel right" and this may be more important than other assessments of value. Given recent observations on the process of reasoning (See An Argumentative Theory of Reason) we need to be a bit cautious in how we understand the idea of "reasoned beliefs". Individual humans are quite bad at reasoning tasks, falling easily into dozens of logical fallacies and cognitive biases (including several dozen memory biases). If a misconception is repeated often enough it can come to seem the right thing through sheer familiarity (politicians and advertisers rely on this fact). Reason and rationality have to be see in this light, though Barrett was not writing with these ideas in mind. There's nothing about reflective or non-reflective beliefs that guarantees accuracy or truth, nothing that guarantees that we when act on them they will produce expected results. However I would add that the kinds of non-reflective beliefs that describe the way objects move, for example, are so reliable a guide to results that we need never question them, unless perhaps we are sent into space where gravity is so much weaker that we must learn a whole new set of reflexes. Non-reflective beliefs serve the purpose of unconsciously directing our actions in ways that help us to survive. As long as the subsequent behaviour has survival value, evolution doesn't care what the belief is or whether it is true. Survival value is the primary value of the system that causes us to form beliefs. Truth is optional. Distinguishing these two types of belief is important for Barrett's theory. He's going to argue that reflective religious beliefs, such as the belief in God, rely heavily on non-reflective beliefs. He notes that when tested with plenty of time, people give good accounts of their reflective beliefs. But put under time pressure they tend to fall back on non-reflective beliefs. So for example when describing God at leisure, people are consistent with mainstream theology. God is able to be everywhere at once (omnipresence), to read minds, to know without seeing (omniscience) and so forth. But under time pressure the same people were more likely to attribute human limitations to God, such as having only one location in space, not always aware of our motivations, and needing to see in order to know. The relationship between reflective and non-reflective beliefs in complex. Barrett identifies three major ways in which they are related. 1. Non-reflective beliefs may as a defaults for reflective beliefs. For example, handed an unfamiliar object and asked if we think it will fall when held up and released, our non-reflective understanding of how the world works will inform our answer in the affirmative. Barrett's other example in this category involves a girl stealing apples. Non-reflective belief, drawing on our mental tools for describing agents in the relation to food, lead us to unconsciously conclude that she is hungry. But perhaps we also recall that the girl earlier mentioned a horse that will allow you to pet it in return for apples. In this case we might choose the alternative hypothesis that the girl is bribing the horse with apples in order to pet it. Non-reflective beliefs also form our views about the horse as agent in relation to food, but having two options means we must reflect on the possibilities. In this case may rule out the default option (girl is hungry) but non-reflective beliefs still provide the default. Something Barrett does not comment on here, but which he might have, is the phenomenon of the Attribution Fallacy. Social Psychologists note that we assign motives to agents, but that we almost always assign internal motives without reference to external circumstances: we understand agents to be preferentially motivated by internal considerations. If a girl is taking apples without asking, breaking established norms, then we typically assume she's doing so deliberately and knowingly, i.e. that she is stealing the apples (a moral judgement); that she is therefore "a bad girl". Walk along a British high street for five minutes and you're bound to hear a parent shout (or indeed scream) "naughty!" at their small child. And given the inconsistency with which the word is used, that children cannot help by grow up confused about what "naughty" means (leaving aside the etymology!). Barrett's example suggesting that we might conclude that the girl is hungry is charitable at best, and perhaps a little naive. Maybe if it were only one apple. If we witness repeated unauthorised taking, our conclusion tends towards moral judgement. What we do not do is cast around for other reasons. For example the girl may be suffering from peer pressure to steal apples, bending to the will of older peers, or trying to impress them in order to fit in. Or she may be trying to get attention from parents distracted by their marriage break up. These may be mitigating factors once our judgement is formed, but our judgement says that the responsibility still lies with the girl (or if she is very young with her parents). We tend to assume that wrong deed is carried out due to bad motivations, whatever else might be true. Even if we understand the actions of other agents through introspection - for example, by speculating what might motivate us to act in that way - we still do not seem to take environmental factors into account, but simply project our own emotions onto the agent. In this sense the case for non-reflective beliefs being our default seems to me to be rather stronger than Barrett suggests. This could also be why first impressions are so hard to shift. First impressions are based solely on non-reflective beliefs. In the next part we will consider more closely the kind of non-reflective beliefs that make karma and rebirth seem plausible as reflective beliefs to many Buddhists. 2. Non-reflective beliefs make reflective beliefs seem more plausible. When our reflective beliefs coincide with the non-reflective beliefs generated by the mental tools that unconsciously describe the world, then there is a sense that the belief is more reasonable. When this happens we may say that it seems "intuitively right" or perhaps that it "feels right". This sense of rightness may be difficult to explain, since it is based on how well a reflective belief fits with our non-reflective beliefs (which are transparent and frequently unconscious). In physics, classical mechanics largely coincides with non-reflective belief. Classical mechanics largely describes the world we can see with our eyes and thus any mathematical expressions are likely to be intuitive (to feel right). Relativity is somewhat counter-intuitive because it involves unimaginably large magnitudes of velocity, mass, and length, and tells us that time is relative to the frame of reference. Quantum mechanics by contrast, the description of the behaviour of subatomic particles, describes a world that no one can see or even imagine, and as a result is deeply counter-intuitive. Sometimes even scientists will refer to this as "quantum weirdness". What seems intuitive, by which in Barrett's terms we mean "that which our non-reflective beliefs make plausible" is a very significant aspect of religious belief. For example, consider the passage I have often cited from Thomas Metzinger's book The Ego Tunnel. Many of us, especially those who meditate, have experiences that lead us towards ontological dualism. One of the great meditation practitioners and teachers I have known makes exactly this point, i.e. that his meditative experience makes it seem incontrovertible to him that cognition is not tied to the body. It is this kind of non-reflective dualism, based on the "realism, cognitive clarity and general coherence" of these types of experience, in which our mind appears to be distinct from our body, which makes religious ideas (spirits, afterlife, gods) more plausible. Experience causes us to form non-reflective beliefs (e.g. mind/body dualism) that make our reflective beliefs (e.g. rebirth) seem more plausible. For many Buddhists, for example, rebirth is quite intuitive, quite an obvious proposition. It seems naturally plausible. Our non-reflective beliefs about the nature of our minds, the possibility of mental activity without a body, and the powerful desire for continuity combine to make a reflective belief in rebirth seem plausible and likely. Of course that a view seems plausible, even when the majority think so, does not make it true. It's not even a valid criteria for judging the truth of the belief. But when pressed the commenter concedes that they didn't really read the essay. The title conflicts so drastically with their non-reflective beliefs that without a considerable act of will they come to the inevitable conclusion that I am wrong without reading body of the essay. And rejecting my argument without ever having carefully considered it seems a reasonable stance. In effect it is demanded by their non-reflective beliefs. This is all too common amongst Buddhists, who ironically tend to have a very high opinion of themselves with respect to rejecting blind faith. 3. Non-reflective beliefs shape memories and experiences. Our minds are actively involved in perception. It's not that we have a perception and then interpret it. In fact interpretation and perception are simultaneous processes. In Buddhist terms the processes that go into making up experience, the five skandhas, work together simultaneously to produce an experience. What presents itself to our conscious mind is partly the product of our non-reflective beliefs. This is true also of memories. Everything that we become aware of is being filtered through our system of producing non-reflective beliefs. Again we see the parallel with Kant's a priori judgements. There is no experience that is not understood through our pre-existing beliefs about the world, including such "metaphysical" notions as space, time, and causality. But again this process is transparent, so that we do not realise that what reaches awareness is already a compromise. Non-reflective beliefs, along with memories of past experiences, are the standard against which we judge all other beliefs. A conclusion that is consistent with a larger number of non-reflective beliefs, is (unconsciously) judged more plausible and is thus more likely to become a reflective belief. The process by which this happens "often amounts to a crude heuristic" (15). Although Barrett's description of this process is evocative, I think Damasio has identified more accurately how this process works. Damasio (2006) describes a process involving emotional weighting of facts to determine their "salience" (See Facts and Feelings). By scanning our emotional response to certain conclusions we can evaluate many possibilities at once and come to a conclusion quickly and unconsciously. Even reasoning seems to involve this process of assessing the salience of information through how we feel about it. Because the decision making process works by integrating emotional responses, it is effectively able to assess many possibilities at once and present the preferred option (the one we feel best about) to our conscious mind quickly, but transparently. We then find reasons to justify our decision. A fascinating example of this surfaced, as I was writing this essay, from the blog of Joseph LeDoux, the world's leading expert on the neurophysiology of emotions, especially fear. His published work on the amygdala stated that damage to the amygdala weakens the ability to assess threats and of course one of the most accessible aspects of our response to threats is the feeling of fear. But this was taken to mean that the amygdala caused fear. This is an example of the fallacy that correlation equals causation, we actually alter what we read or hear so that it fits our preconceptions. As LeDoux says "When one hears the word “fear,” the pull of the vernacular meaning is so strong that the mind is compelled to think of the feeling of being afraid." In fact the amygdala "only contributes to feelings of fear indirectly." As Barrett puts it, "people rarely work through a logical and empirical proof for a claim, Rather, what I call 'reflective' tools typically do their calculations rapidly." In Barrett's view it is the consistently with a large number of non-reflective beliefs which tip us towards a reflective belief. To the extent that this fits with Damasio's decision making model I think it is accurate. However for Barrett's theory this aspect is important because it underpins his view on what makes for a plausible supernatural belief. This brings us to the subject of minimally counter-intuitive beliefs. Ardila, A. (2015) A Proposed Neurological Interpretation of Language Evolution. Behavioural Neurology. doi: 10.1155/2015/872487. Epub 2015 Jun 1. Boden, Matthew Tyler. (2015) Supernatural beliefs: Considered adaptive and associated with psychological benefits. Personality and Individual Differences. 86: 227–231. Via Science Direct. Cima, Rosie. How Culture Affects Hallucinations. Priceonomics.com. 22 Apr 2015. Damasio, Antonio. (2006) Descarte's Error. London: Vintage Books. Foucault, Michel. (1988) Madness and Civilization: A History of Insanity in the Age of Reason. Vintage. Metzinger, Thomas. (2009) The Ego Tunnel: The Science of the Mind and the Myth of the Self. Basic Books.